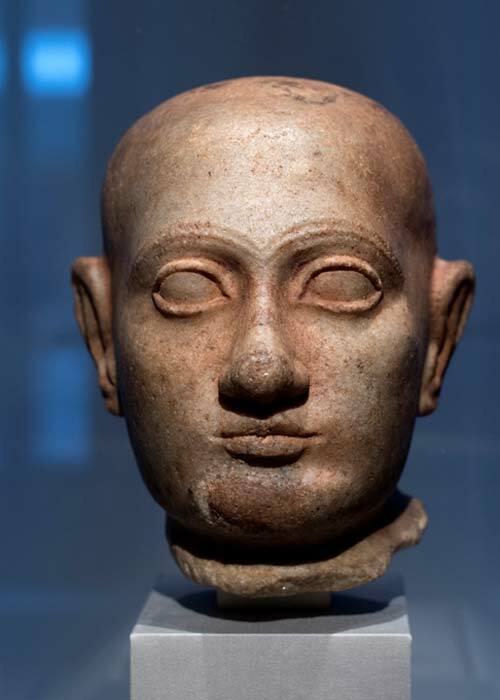 In the early second millennium BC, the city-states of Mesopotamia thrived in the so-called “Ur III period.” Assuming political frameworks previously abandoned in times of chaos, the rulers of the time also brought about innovation in building and economic strata. Several city-states took turns in dominating the area, one after the other, in southern Iraq. The “Ur III” period, in fact, received its name because it was the third time divinely-bestowed kingship was said to have come to Ur. And top of the pops amongst said monarchs was Shulgi of Ur , remembered—by propaganda, of course—throughout the generations as a merciful monarch. During a reign spanning nearly five decades, Shulgi modernized Ur in some pretty important ways. He standardized weights and measures in his city; something extremely important for organizing and then expanding trade practices. To cement alliances with rival city-states both near and far, Shulgi also wed at least nine times. His wives included a princess of the important city of Mari in Syria, while his concubines likely included beauties from Ur and beyond. His important trade reforms, combined with marital alliances, ensured a prosperous and peaceful reign. He added that Enlil, god of kingship, chose him to rule over Ur. Why? Due to his “righteousness,” which is seemingly matched only by his martial zeal. Shulgi enthused, “I have a positive passion for weapons.” His praise poems alleged that Shulgi could do everything--from hunting to playing music , pronouncing legal judgments to honoring the gods --pretty much better than anyone else. Shulgi A noted how Shulgi improved his country’s interior--“I strengthened (?) the roads, put in order the highways of the Land”--and established distance markers and way-houses by the road, safe places for travelers to rest. Safer roads facilitated taxation, a field which, of course, Shulgi also innovated. The so-called bala tax, imposed on the geographic core of his realm, was paid in kind--think grain, cloth, etc.--by all levels of society. The gun ma-da tax, targeting the provinces, involved paying up in the form of animals. A regulated system of roads also allowed for the easier movement of armies. In his hymns, Shulgi is not only divinized and pretty much perfect, but also a master warrior . In truth, he did expand his city-state’s borders and fought against potential invaders from the north. He even avenged his father’s death by defeating his dad’s killers, the Gutians, in battle. He surely took slaves in battle, then using these prisoners to finish important building projects, like the mighty ziggurat in Ur, begun by his father, Ur-Nammu. To demonstrate their prowess as master builders--especially constructing temples or other holy places --kings ordered the construction of foundation figures. These small figurines depict the king as a common builder, carrying stone on his head. As a result, the king became an active part of the construction process. These figurines were placed amongst the foundations of the temple which had the king’s participation in its construction. These itself became both votive dedications to the god or goddess to whom the temple was dedicated and glorification of the monarch in a place where no human could see them--buried beneath a sanctum--but the gods, presumably, could. Such figurines, which show the king in the role of servant to the divine, were by no means unique to Shulgi; in fact, many kings depicted themselves thusly in temple deposits in Mesopotamia. Hamblin, William J. 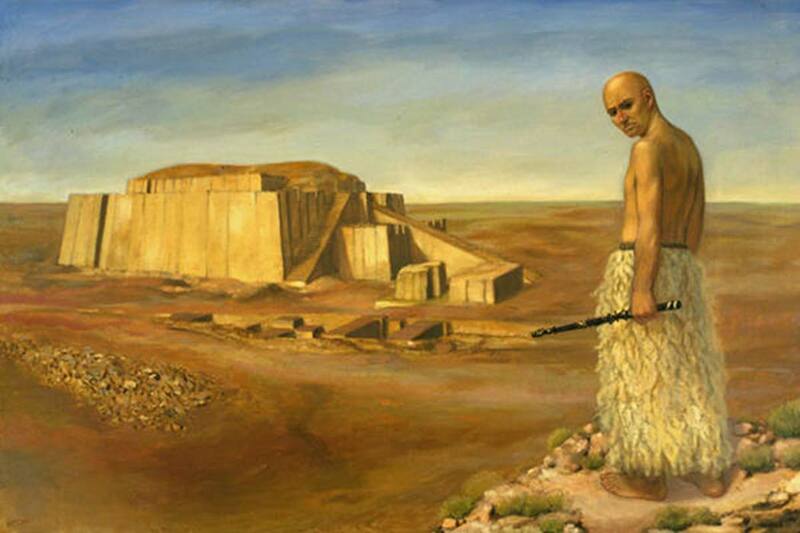 Warfare in the Ancient Near East to 1600 BC: Holy Warriors at the Dawn of History. Routledge, 2006. Muscarella, Oscar White. Bronze and Iron: Ancient Near Eastern Artifacts in the Metropolitan Museum of Art. Metropolitan Museum of Art, 1988. 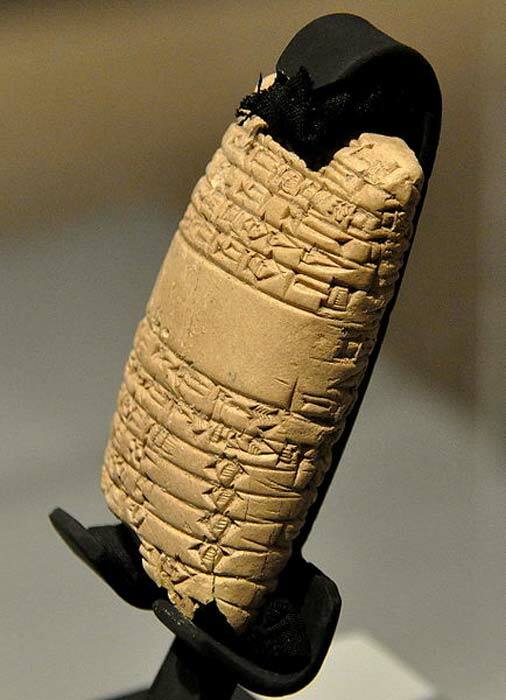 “A Praise Poem of Shulgi (Shulgi B): Translation.” The Electronic Text Corpus of Sumerian Literature , Oxford University, http://etcsl.orinst.ox.ac.uk/section2/tr24202.htm. Porter, Barbara Nevling. “Ritual and Politics in Assyria: Neo-Assyrian Canephoric Stelae for Babylonia,” Charis: Essays in Honor of Sara A. Immerwahr, edited by Anne Proctor Chapin, The American School of Classical Studies at Athens, 2004. Sharlach, T.M. 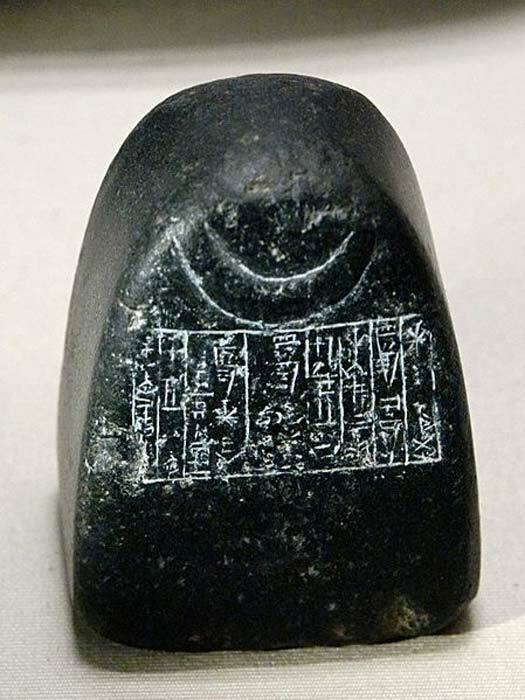 An Ox of One's Own: Royal Wives and Religion at the Court of the Third Dynasty of Ur . de Gruyter, 2017. Stiebling, Jr. William H. Ancient Near Eastern History and Culture. 2nd ed., Routledge, 2006.
van de Mieroop, Marc. A History of the Ancient Near East, ca. 3000-323 BC . 3rd ed., Wiley, 2015. The Riddle of the Roman Holey Jar – Why Would A Vessel Be Full of Holes? Read more about The Riddle of the Roman Holey Jar – Why Would A Vessel Be Full of Holes? The Enigmatic Ancient Royal Game of Ur – Will We Ever Understand It? Read more about The Enigmatic Ancient Royal Game of Ur – Will We Ever Understand It?